Little Islands are proud to present the brand new Jolly Trolley! Jolly by name and Jolly by nature, this fantastic activities and reminiscence cart is a great way to enhance the quality of care your staff can deliver. Designed to look traditional in style, it comes complete with music, sensory lights and pictures to match; enabling numerous different themes for triggering happy memories. The Jolly Trolley includes a 27” touchscreen for ease of use and has a full PA system to inspire participation. 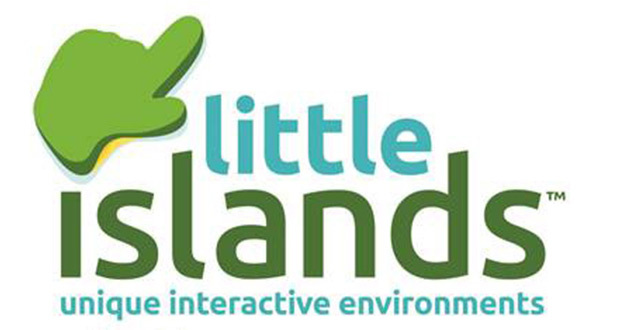 With plenty of different programmes, including karaoke, quiz’s and reminiscence films, you will never be stuck for activity ideas again. 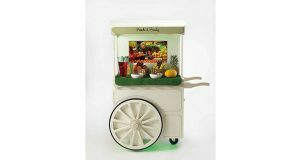 As the Jolly Trolley is battery operated and fully mobile, in can be used anywhere in the care home or even outside – weather permitting! If that wasn’t enough, there is also a USB port to use your own media making the Jolly Trolley perfect for person-centred activities. The Jolly Trolley has been very well received by all who see it and has produced some fantastic results. Our happy customers have reported that by using the Jolly Trolley it has made it easier for staff and residents to interact on a social level. We have also seen how residents who would not normally participate in activities have been up on their feet dancing, singing and having lots of fun. Amazingly, it also works well for de-escalation and helps to calm down residents who may be distressed or upset – particularly those living with dementia. One of our clients got in touch and said ““Staff witnessed a great thing with the Jolly Trolley. A lady with learning disabilities and no communication was distressed and hitting herself and crying. We introduced her to the Jolly Trolley and she calmed down totally. It was amazing!”(Josie Greveson, Registered Manager, Ashfields Care Home). The Jolly Trolley is perfect for all types of activities. It includes relaxation films that can be used during a massage, church hymns, and reminiscence films and music that range from the 1940’s to the 1970’s. The built in “Happy Birthday” programme is a brilliant way to celebrate a residents birthday and the Christmas programme is sure to make that special time of year even more magical. Take a look at what some of our other delighted customers have to say…. “We were so pleased with our first Jolly Trolley purchase that we bought three more! Now all homes in our group have them” – Jeanne Davies, Director, L&M Healthcare. “The Jolly Trolley is quite simply the best money we have ever spent on resident enrichment!” – Donna Burkhill, Activities Manager, St John’s House.